Lions play a role in the ecology of their habitat, and we cannot be sure what the long-term consequences would be if we were to prevent them from killing gazelles. (The way to do this, I suppose, would be by eliminating lions, perhaps by sterilization.) So, in practice, I would definitely say that wildlife should be left alone. Some will object: We neuter cats and dogs. What’s the difference? Animal advocacy better know the difference. To prevent pet reproduction doesn’t offend animal liberation; indeed, we’d end the whole business of pet-breeding if we stepped back to see it for what it is: the continued genetic manipulation of wildcats and wolves to suit our whims. But nature-neutering is malpractice. Remarkably, animal advocates (encouraged by the state Sierra Club chapter director) responded to New Jersey’s first black bear kill in modern history, in 2003, by insisting on chemical castration for bears rather than shooting. How can anti-cruelty, let alone liberation, be invoked by advocates so willing to erase animals from their own habitat? Peter Singer doesn’t want human hunters wounding gazelles—fair enough. But Singer doesn’t want lions chasing them either. So Singer opts to shift deer management from game commissions to pharmaceutical manufacturers. The animal-protection sector follows suit, and calls it humane, although PZP protocols mean trapping startled deer, and expecting cuts, abrasions, and broken bones in the process. The Humane Society of the United States (HSUS), which controls the Investigational New Animal Drug exemption for the porcine zona pellucida (PZP) vaccine, is actively invested in research and development, and in training park biologists, zookeepers, and others in the United States, and also tests this substance on various animals internationally. As a horse sterilant, PZP has the Environmental Protection Agency’s approval as nonhuman pest control (because, the EPA explains, “horses may be pests in some situations”); its registration as a new chemical cites several unpublished papers of the HSUS—and several from Jay Kirkpatrick, who transferred control of the drug to the HSUS. PZP has destabilized group dynamics in the Shackleford Banks mustangs of North Carolina. The vaccine has shown serious physical side effects too. One study done at Cornell, with U.S. Department of Agriculture support, involved vaccinating 21 deer at an army depot. In October 2000, the deer were “humanely killed,” wrote the researchers, “by a shot to the head or neck from a high-powered rifle fired from a blind or a vehicle.” Post-mortems showed most of the deer had lived with pelvic inflammatory disease and “remarkable” abscesses even two years after the injections. Another method being tested on formerly free-roaming animals is ovary removal. Anthony DeNicola, a biologist identified by the Washington Post as “president of a conservation nonprofit that promotes surgical sterilization” of deer, talks of having removed deer ovaries on a folding card table, and of operating in a police station garage in Virginia, before gaining access to deer and operating space at the fenced campus of the National Institutes of Health in Bethesda, Maryland. 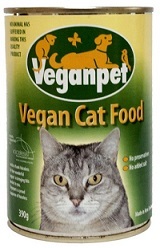 Then there’s the quest to turn cats into vegans. Granted, we’re primates; predation scares us. But second-guessing an obligate carnivore is misguided advocacy. A genuine liberation philosophy would, as mentioned above, challenge our prerogative to tame, keep, and breed cats. To be fair to animals already born into a domesticated life, and perhaps to spare songbirds and undomesticated animals from having to deal with them, we rescue cats; but they do not owe us a vegan conversion—notwithstanding Ingrid Newkirk’s garbanzo bean kibble, and the fantasy world such concoctions inspire. Reforming the lion’s diet is an extreme stewardship model, but it’s hung around human consciousness at least since the Peaceable Kingdom prophecy. It’s a prescription for managing nature to death. At the same time, where advocacy for contraception prevails over the balance of nature, free-living communities are erased before they even show up. With birth control, we’ll remove them even as sprawl swipes the land out from under them. The time is ripe to replace Singer’s supervisory action doctrine with an animal-liberation philosophy that respects animals on their own terms. This article was posted on Monday, April 20th, 2015 at 11:00am and is filed under Extinction, Life/Animal Rights, NGOs, Pharmaceuticals.